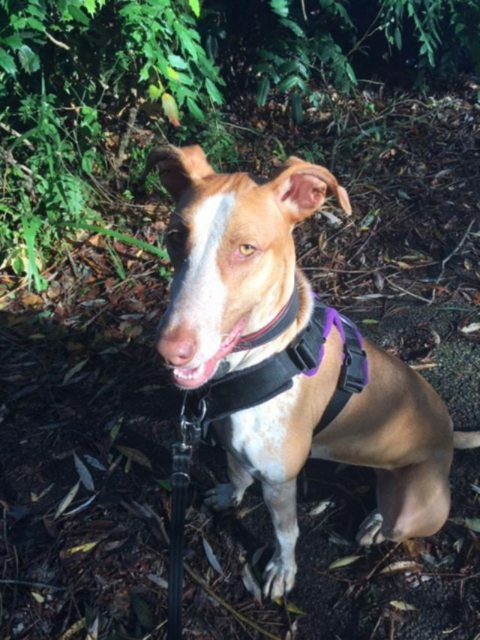 Lexy is a 16 month old female Ibizan Hound (Podenco). 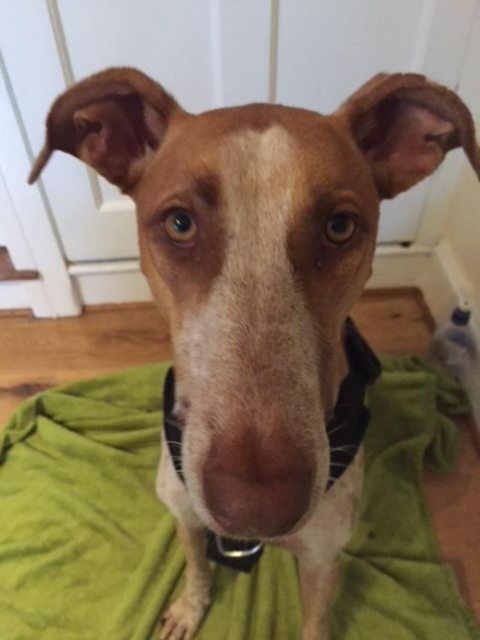 Stunning young tan and dappled white medium sized Podenco girl who is so friendly and very eager to please. 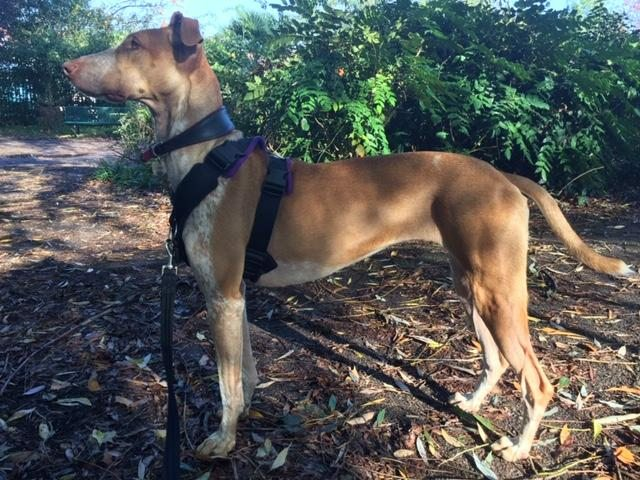 Lexy is very bright, easy to train and she loves other dogs, she is as pretty as a pointer! Lexy is looking for a new home because her owners circumstances have changed and they reluctantly have to find a new home for her. 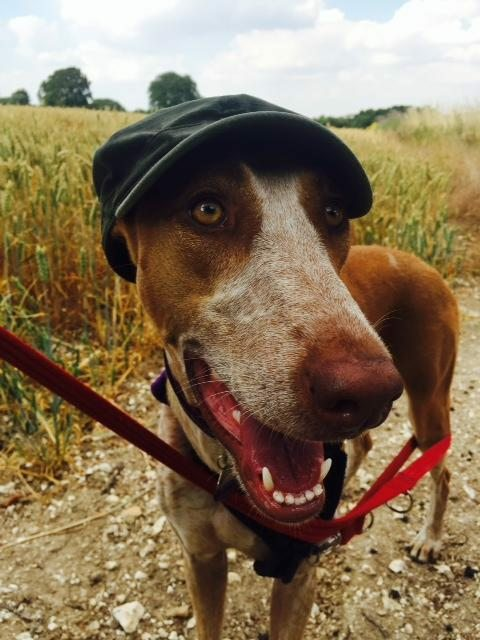 Lexy has been in the UK almost a year now and she has been living with other dogs and small children and older people, shes a great all rounder and has a super character. She is still much of a older puppy but shes doing well in lead walk and training. We could look for a home with another dog or children. Its such a shame she has to look for a new home, but her owners can no longer keep her. A little history: There were 2 sisters – Dana and Lexy. Dana had been abandoned at the Shelter gates weeks before we saw Lexy come to the gate and crying to be let in !! She followed all the dog walkers and wanted to play with the dogs being walked then sat at the gate crying and tried to jump into one of the volunteers cars as they left. Poor girl must have tracked down her sister and wouldnt go away so she was admitted to the shelter so she was safe and sound. Current location is in London in her current home for now. 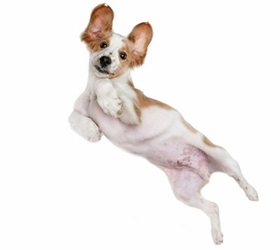 Vaccinated, wormed, flea treated, Spayed, Microchipped, Pet Passport, FREE 4 weeks Pet Insurance to be activated from the link on our website, Any known health issues NONE KNOWN. We can not home dogs from Spain to people who work full time or long hours, unless some sort of doggy day care is offered. They need someone at home a lot of the day, they are not used to being alone for long periods. A dog walker for an hour out of the day is not enough. Leaving dogs a long time on their own means they are highly likely to develop separation anxiety which is distressing for them and everyone in their new home.